Dollarinbux Highest paid PTC website- Are you looking for crazy and lazy money? Do simple 2 minutes work daily and make more than $3 daily without any much effort. This will grow day by day if you share more and more people. 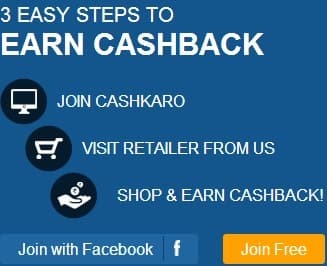 This is a new PTC(paid to click) website which is getting more popular day by day and growing everyday and 100 of new members joining every day. This is Dollarinbux. Payment Mode- You will get payment once you earn $20 in your account. You can get payment with AlertPay and Liberty Reserve. This is for standard account and if you upgrade your account, it will be instant payment. This is really good PTC(aid to click) and PTR(Paid to read) website to make some handsome money and currently open for 10k members to get $2 instant payment. Join Dollarinbux here. Note-This is scam.Avoid to join. Keep visiting how to make money online for new money making opportunity. 15 minutes free phone calls across the world- If you are looking for free call to anyone and anywhere. This free call offer from Rebtel is for you. This free offer is provided by Rebtel that provide cheap call.This is again a good freebie offer and open for all. How do you get free call? If you are new user, you will get total (5+15) 20 minutes call free. To try Rebtel, you will get 5 minutes call free, then once you download Rebtel PC application, you will get extra 15 minutes. Once you download PC application, you send an email to Rebtel customer care that you have downloaded PC application and you are looking for 15 minutes free call. Once you register your mobile with Rebtel and call to your friend via online Rebtel portal or Rebtel application, Rebtel will call to your mobile and connect your mobile to your friend or your relatives.